MOTOR FREIGHT ITEMS: This is a large item and delivery is going to be via motor freight. During your checkout, you will see a note about the cost of motor freight being charged post order and only after your final approval. After your initial order is received, we will shop several carriers that deliver to your area. Within one business day, we will contact you with the total cost to ship all the items in your basket to you. Depending on your basket contents, this may be a combination of motor freight, FedEx and/or UPS. If you decline the order based on the cost of shipping you will be issued a prompt and curteous refund immediately. 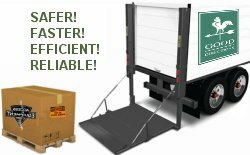 LIFT GATE SERVICE: If your item is too large to be lifted by you out of the back of the truck, there is an additional $50 lift gate surcharge for the freight transit professional to unload your larger item from the inside of the truck and place it on the ground at your location. The freight transit professional does not un-crate the item nor deliver it to an inside location.